Andipa Contemporary, in collaboration with the Royal British Society of Sculptors, is proud to present a solo exhibition of Rebecca Newnham, the winner of Spotlight 2013 Award for Sculpture. 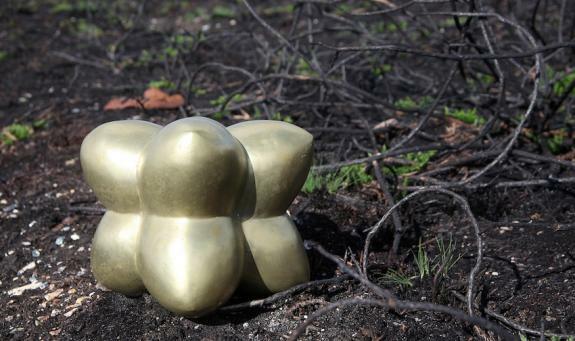 Rebecca Newnham’s sculpture was chosen by Andipa Gallery for being the most defining and exciting in its medium. 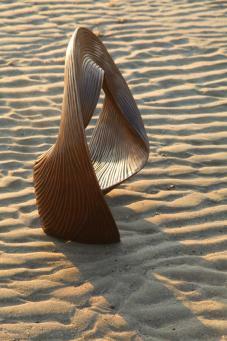 Her work is characterised by fluid forms that are both organic and undulating. Newnham’s work is influenced by the natural world, science, and an understanding of materials gained from her hands-on approach to the process. 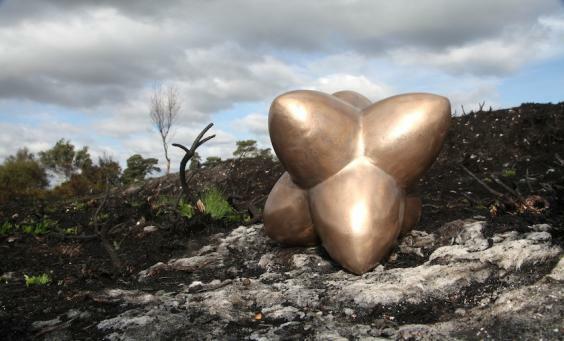 Her sculpture is driven by the natural language of form, allowing it to sit well in a landscape and is often monumental. Earlier this year, Wave, a 15 meter floating sculptural installation was commissioned for a lake in Yorkshire. Wave considers the ever-increasing volume of information, which invisibly surrounds us. The five sections have an internal steel structure, a highly polished red surface and are invisibly chained together and anchored to allow the work to respond to wind and water flow. Wave is red because in the colour spectrum, red appears at this wavelength. Newnham’s exhibition at Andipa Gallery is on a different scale exhibiting work appropriate to the space. Other smaller works punctuate indoor spaces, playing with light on their reflective surfaces. The organic curves and lines are strong and compliment the architecture, garden design or the natural landscape in which it sits. Energy Principle considers the laws of thermodynamics. The First Law expresses that energy cannot be destroyed: that it only changes form. The second law of thermodynamics is about Entropy, which maintains that energy is inclined to randomness. These beautiful ideas are translated into sculpture, giving physical form to a concept. Electromagnetism is about these specific energy waves, which are significant as they travel in two dimensions simultaneously, and when made solid, they create a flight like series of wings. Energy takes many forms and is expressed in many ways. It is both the strength and vitality required for sustained physical and mental activity. A spiritual dimension unites them. 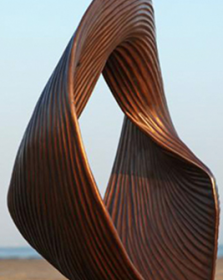 The sculptures in Energy Principle consider the harmony between these dimensions. Her work responds beautifully to it’s environment, as seen in Fledge; Increments of Flight which was exhibited as part of show Liminality, at Salisbury Cathedral, curated by Jacquiline Creswell. The group of four winged sculptures describe a liminal journey; snap shot stages of flight. They rotate on concealed bearings, responding to touch or the wind, and have a glass skin with a fiberglass and steel structure. Bronze sculptures have developed from this exploration of flight and progression, in particular Soar and Uplift, which are about the moment of take off and the huge energy this requires. Both sculptures form part of Energy Principle. 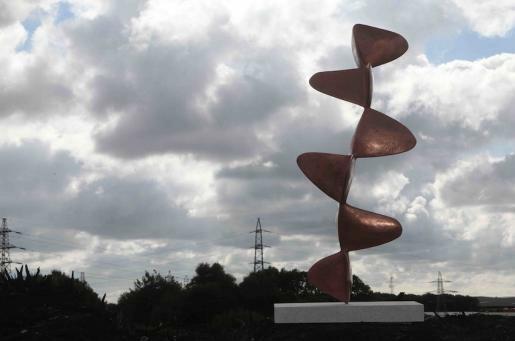 Along with her exhibition at Salisbury cathedral, Newnham has received many other commissions, including a show in Winchester, which included work by Henry Moore and Barbara Hepworth, called The Figure in the Landscape, curated by Rachel Bebb. Her most recent commissions for MGM in Las Vegas comprised a pair of 3.5 meter tall Dancer Sculptures and for JWT and Kenco, where she was commissioned 8 pieces. Her work has won Arts Council competition’s such Museumaker, twice. She has created works for a number of group exhibitions in England & Belgium, including a couple of solo exhibitions. This year she has worked in six shows, some of which are still running.